Flexible multi-layered lightproof ducting, ideal for the ventilation of your grow rooms. A 4 layer multi-laminated construction with an encapsulating high tensile steel wire helix that ensures strength and durability. 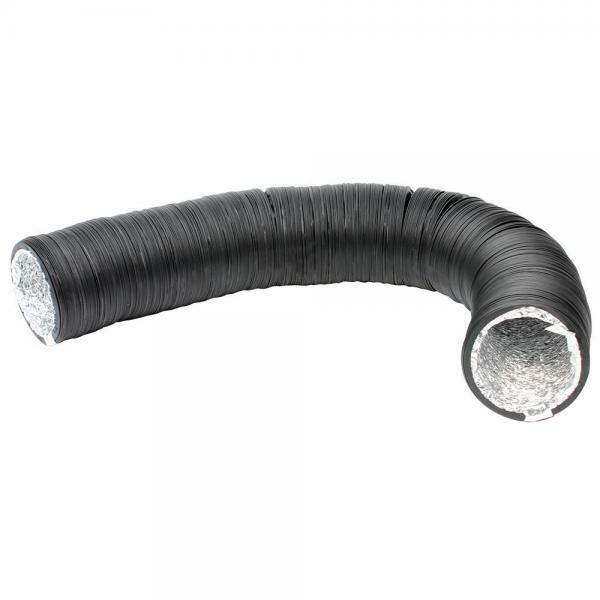 The black PVC outer is totally plant safe and a strong vapour/light barrier ensuring extra air tightness over standard alloy ducting while still being very flexible. Due to the 4 layers (when fully extended), the ducting folds it shape with a seamless void delivering low pressure drop and no particulate clogging and low noise when in use. This ducting has a clear layer on the inside and a black lightproof layer on the outside. The clear layer works effectively to minimise the noise of the foil.